A Point of Sale System includes everything you’ll need to get started with POS in your business. Depending on your needs and the type of business you have, we have systems specifically designed for retail, restaurant, bar, grocery, salon, and iPad based applications. Each system is made to provide the most efficient and productive POS experience for you and your customers. OutBoost Media turnkey point of sale solutions to meet your business needs. We offer a complete line of customizable POS solutions for retail, restaurant, and salon industry verticals. 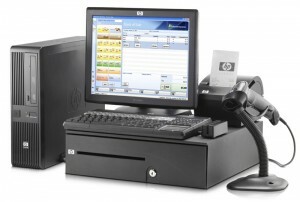 Call our product specialis today to design the POS system that meets your individual needs. Navigating the POS purchasing decision can be daunting, and we’re here to help. Whether your order includes receipt printers, cash draws, pole displays, or other peripheral devices, our POS solutions including delivery, setup and training. Your business’ needs are unique – that’s why we sell more than POS systems.